What, no cake? Well, it's still a dessert. One must be careful of withdrawal symptoms. I found this recipe in a recent newspaper, and immediately I started tweaking. 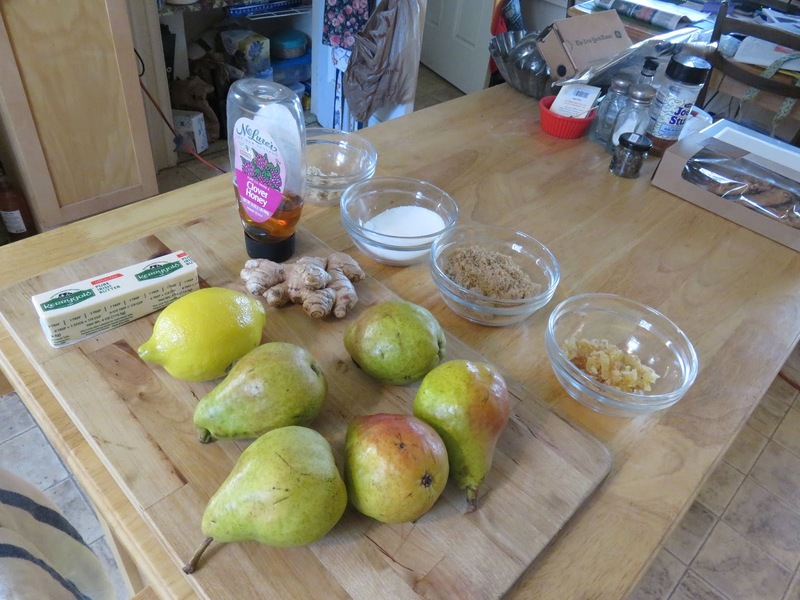 Hmm, pears and ginger—that sounds promising. 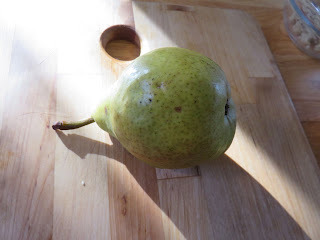 Kinda early in the year for juicy fresh pears, but whatever—there are plenty of pears in the market. I like ginger. I have plenty. The original recipe called for chopped nuts. I'm not wild about nuts, and I didn't like the combination of nuts suggested with the pear and other flavors. Axe the nuts. I swapped in candied ginger, which I do like. 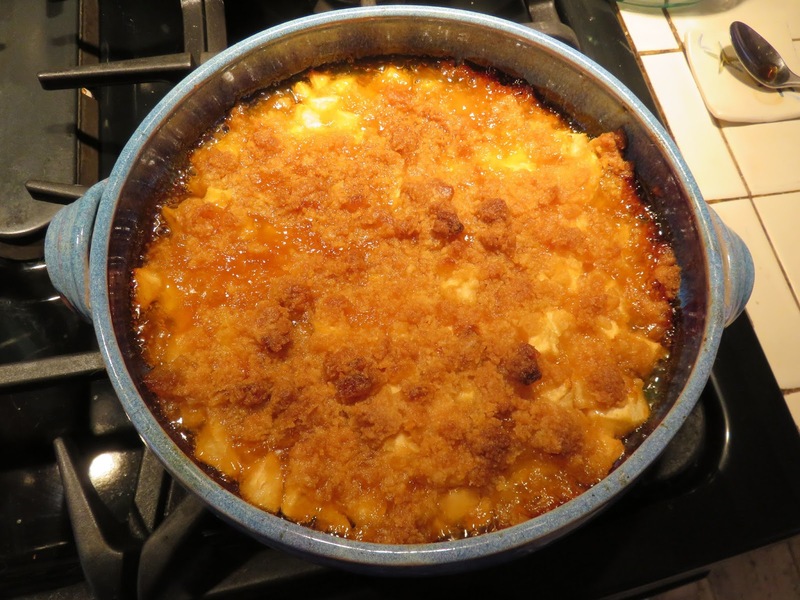 Adds an interesting texture to the crumble on top. 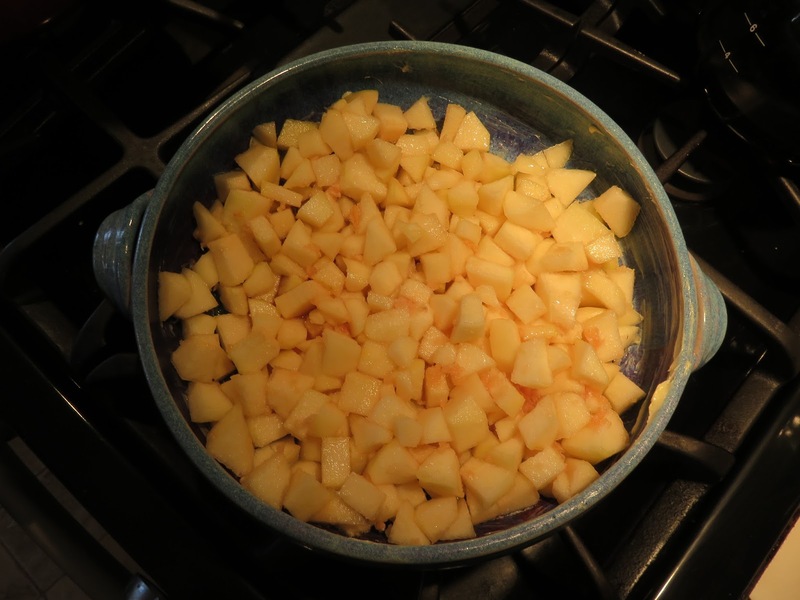 The suggested oven setting of 375 degrees seemed a little high—the top gets brown long before the pears get soft. I cut it down to 350 degrees and baked it longer. Preheat the oven to 350 degrees. Butter a 9-inch-square baking pan (or any pan which would hold the same amount—a ten-inch round pan would do). 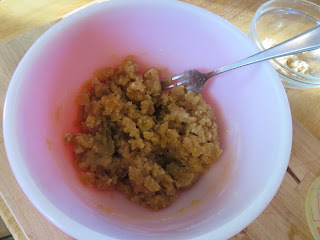 In a bowl, whisk the flour, granulated and brown sugars, salt, and nutmeg to blend them. Add the butter and stir with a fork until the mixture resembles crumbs. 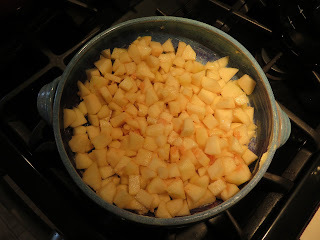 Add the diced ginger and toss to combine. In a bowl, combine the pears, orange and lemon juices, honey, and ginger and toss. Spoon the mixture into the prepared pan. Sprinkle with the crumbs. 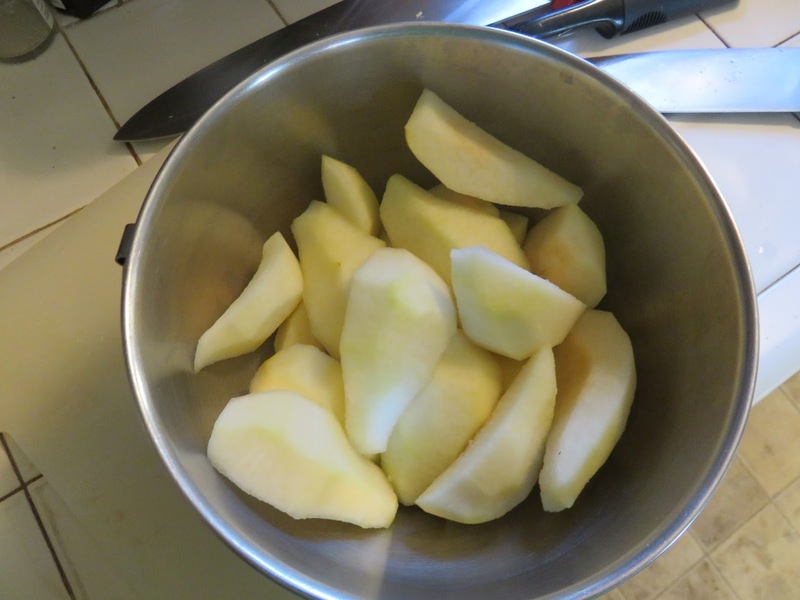 Bake for 50-60 minutes or until the crumbs are golden brown and the pears are tender. Set the pan on a wire rack to cool. Serve warm with ice cream or whipped cream. Sure and it's not Saint Paddy's day yet, but here at MLK we'll be havin' a guest on the day next week, and my book's comin' out on Tuesday next, so I'd better be offerin' the giveaway to yiz now. Tell me what's your favorite Irish dish in a comment (with your email, más é do thoil é--that'd be "please") and I'll be drawing the name of the lucky winner out of a hat! "Move over, Agatha Christie: a pub owner in County Cork fancies herself a young Miss Marple... A fine read in the classic style." That's a favorite at our house too--even though the lamb comes from Australia. Loved the recipe. 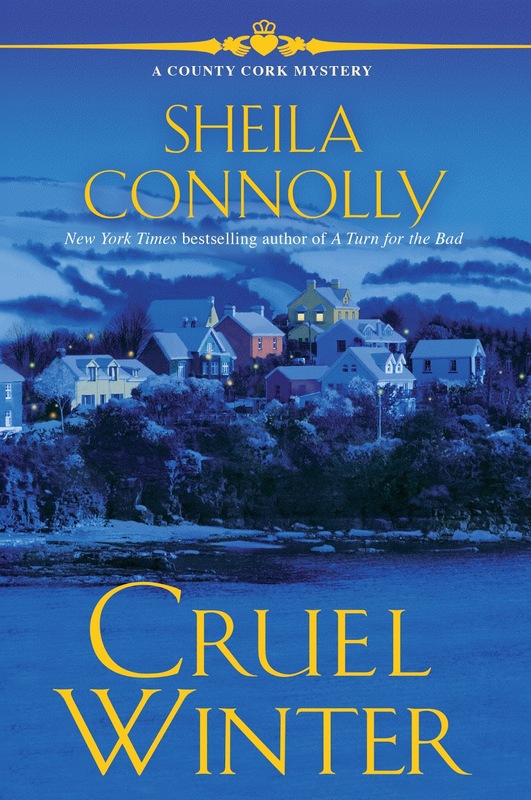 Love your books too Sheila and would love to be selected. I make all types of Irish food and actually will be making a big corned beef and cabbage dinner tonight. A cold snowy day is perfect for this meal. I really enjoy roasting lamb and serving with a hearty potato dus. And I do a lot of sauteed cabbage which covers a lot of cultures. I am an Irish soda bread fan too. Your wonderful writing has been such a joy. Thank you. Lamb stew with brown bread (aka Irish soda bread). I'm really looking forward to the new story. It's virtual travel from my comfy chair. First time I've read the blurb, Sheila, and it sounds terrific!!! Congratulations! I love oatcakes, and porridge! 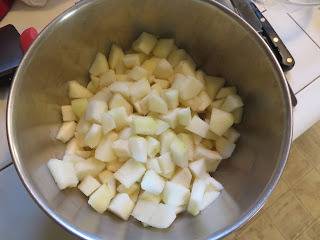 Mmmm thanks for the pear recipe! Great recipes with my favorite fruit are few and far between. As for my favorite Irish dish, I'd have to say colcannon with corned beef in it. My Irish roots must be strong, because I love potatoes, cabbage, and corned beef. Thanks for the great recipe and giveaway! Lá fhéile Pádraig sona dhuit! The mussels I had at Harry's Shack in Portstewart last fall were incredible. At home it would be either shepherd's pie or scones. I suppose my favorite would be shepherd's pie although I don't make it very often. I love this pear recipe! My mystery lover's recipe book is getting quite large these days with such amazing additions coming in all the time. I'll vote for the soda bread (the brown kind) along with a lot of you--especially with black currant jelly, which we can't seem to get in this country. And of course plenty of good Irish butter. I had some delicious seafood stews when I was in Ireland. I'd eat those any time with some soda bread. Smoked salmon? No.....! That's one recipe I can make in my sleep. And it improves if there are any leftovers! I'm pals with a local fish seller, and the shop is right on the harbor where all the boats come in. I do end up eating a lot of seafood there, some of which I can't get here (like monkfish, which is ugly but which tastes good). I absolutely love Irish Soda Bread---it's perfect toasted with butter for breakfast. I like corned beef and cabbage on St. Patrick's Day. And don't forget the green beer. Happy St. Patrick's Day!